Monteverde Royale - Sta. Lucia Land Inc. Experience the advantage of living in a relaxed countryside setting, while enjoying easy access to major points of Metro Manila. 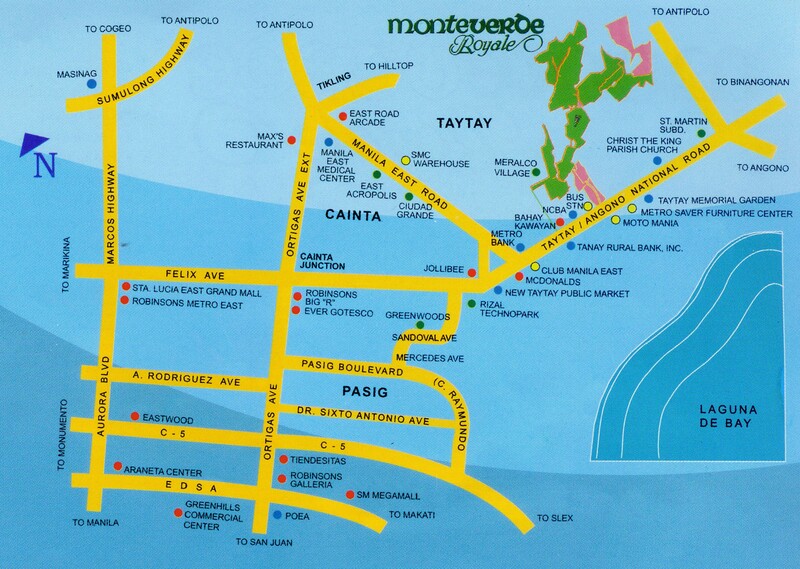 At Monteverde Royale, you’re far away from the city noise and pollution, yet conveniently near commercial centers, schools and your place of business. Neighboring Angono lends the rich cultural influence of its artistic community. And with Club Manila East located right across the entrance gate of Monteverde, a first class recreational facility has been added to the attractions of Taytay. 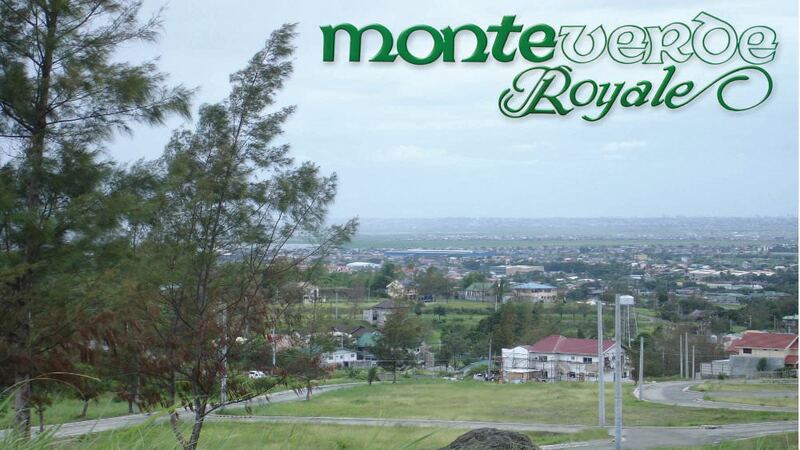 Monteverde Royale is located behind the National College of Business Administration and adjacent to Metro Village. From Ortigas Avenue Extension, straight ahead and at the roundabout, take the 2nd exit onto Taytay Diversion Rd, turn left after Jollibee Taytay Uptown (on the right), then continue onto Tanchoco Ave, turn right to stay on Tanchoco Ave, pass through Woodpecker Dr, Pelican and Swallow Dr and finally turn right onto Eagle Dove where Monte verde Royale is situated.